Following are five big themes likely to dominate thinking of investors and traders in the coming week. 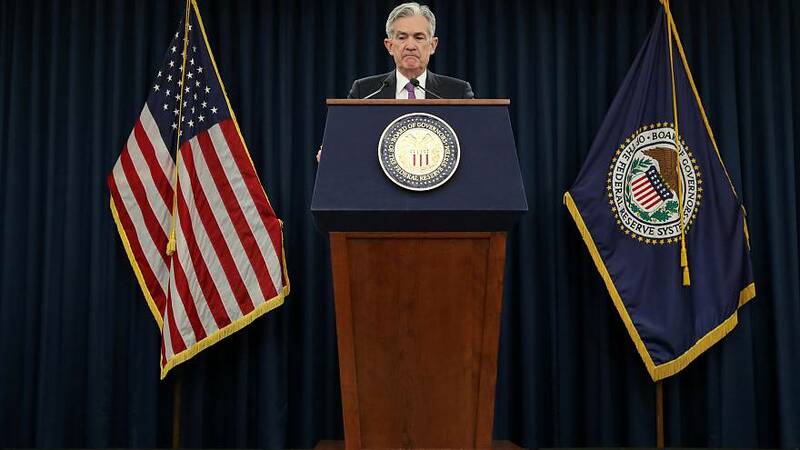 It's just over a week since the U.S. Federal Reserve formally paused its rate-rise campaign but central bankers around the world are falling over themselves to emulate Jerome Powell's dovish turn. Australia's Philip Lowe, having said for a year the next rate move was up, suddenly declared rates could go either way. The European Central Bank can hardly cut its minus 0.40 percent rate but a new round of bank funding stimulus is now widely expected. The rate cycle has turned across emerging markets too -- India has cut rates for the first time in 18 months; several others including Brazil have hinted at cuts ahead. And upcoming central bank meetings in New Zealand and Sweden are sure to highlight growth concerns. The shift is showing up on currency markets. The dollar fell in December and January as the Fed pause was priced in. Now it's everyone else's turn: the Aussie has lost more than 2 percent since Lowe's Feb 6 comments; the euro has had its biggest weekly drop in four months and MSCI's emerging currency index is retreating after rising three months straight. If everyone joins the Fed in the doves camp, the greenback, with the highest interest rates in the G10 group, may resume its ascent. Analysts reckon it has stalled but only time will tell. (Graphic: Reuters poll: Has the U.S. dollar rally stalled? link: https://tmsnrt.rs/2t5ZKoh). Less than 50 days before Britain's EU departure date, markets' conviction that a no-deal Brexit will be avoided may be starting to fade. There is not that much Prime Minister Theresa May can update UK lawmakers on when she addresses them on Feb. 13. This will be followed by debate in parliament where lawmakers can propose changes, known as amendments. Shorter-dated risk reversals, ratios of calls to puts on the pound, indicate investors are now more inclined to buy options to protect against a deeper fall in the pound versus the dollar, rather than anticipate big gains. That caution has rippled into cash markets. The pound has fallen back below a key technical market level -- the 200-day moving average, an indication investors are no longer bullish on the currency's prospects. In fact sterling has traded below that average since May 2018, only briefly popping above that in January. (Graphic: Sterling risk reversals link: https://tmsnrt.rs/2UJZ4AA). If March 1 passes without a trade agreement with Washington, Chinese exports to the United States will be subject to additional tariffs. So hopes are pinned on the U.S. trade delegation which travels to Beijing on Monday, led by Trade Representative Robert Lighthizer and Treasury Secretary Steven Mnuchin. But President Donald Trump has somewhat dampened hopes of a breakthrough, saying he had no plans to meet Chinese President Xi Jinping in the coming month. (Graphic: Major items among $200 billion tariffs link: https://tmsnrt.rs/2HGBgfj). For months, the question on a lot of people's lips has been whether the U.S. economy is headed for recession, but it looks like the euro zone could get there first. The European Commission shocked markets by slashing growth and inflation forecasts for the bloc. Thursday's release of the "flash" GDP data is likely to show the region grew 0.2 percent in Q4. Evidence is already piling up that Germany, the bloc's largest economy, was teetering on the brink of recession towards the end of 2018 due to global trade headwinds and a cooling Chinese economy. The picture beneath may be even less rosy. German industrial output has fallen for four months straight, reinforcing expectations the economy actually contracted in Q4. That would translate into a recession after GDP fell in the third quarter. Markets have taken notice. German 10-year bond yields now are just 10 basis points away from zero percent - territory that in bond markets reflects dire concern about economic conditions. (Graphic: Germany's bond yield curve link: https://tmsnrt.rs/2UPzUAO). Latest jobs data showed workers wage gains dipped slightly on a year-over-year basis, pointing to further reprieve from rate-hike concerns. (Graphic: U.S. inflation vs wage growth link: https://tmsnrt.rs/2tcl7Ef).